In a presentation to the investment community last week, GM said its business operations are slated to fundamentally change within two years with the launch of commercial, all-electric, automated vehicles at scale in 2019. 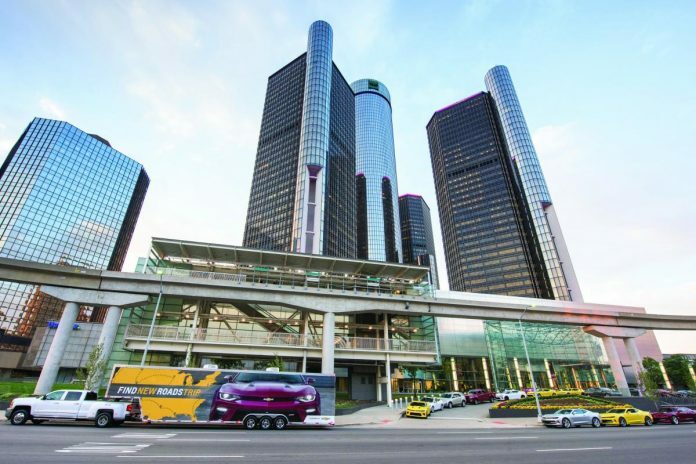 At first, the fleet-based services would complement GM’s core business. But over time, CEO Mary Barra and other executives see them possibly eclipsing its century-old business of building and selling vehicles. And even that’s not the full extent of the disruption GM envisions. Kyle Vogt, CEO of GM’s Cruise Automation self-driving vehicle unit, outlined a future in which GM not only builds a viable business around today’s buzzwords of autonomy and mobility, but has such a “strong competitive advantage” that it forces some competitors out of the market. Last week’s presentations by Barra and other GM executives marked the industry’s most comprehensive plans to date for commercializing automated vehicles, and follow a similar presentation to investors on the company’s strategy to turn electric vehicles into a profitable segment. 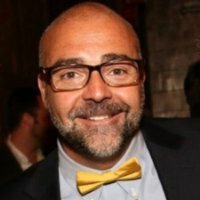 Joe LaMuraglia, founder of GayWheels.com and now Diversity Gatekeeper at GM. President Dan Ammann said GM expects to deploy fleets of autonomated ride-sharing vehicles in “dense urban areas” by 2019. Revenue from the fleets, he said, is forecast to be in the billions soon after launch. CFO Chuck Stevens said GM’s mobility services could be “potentially bigger” than its current core business, with better margins. GM didn’t specify where the fleets will launch. The company is testing a third generation of self-driving vehicles based on the Chevrolet Bolt EV in San Francisco; Scottsdale, Ariz.; and Warren, Mich. It plans to begin testing in New York City next year. Ammann said GM expects to bring the cost of operating automated ride-sharing vehicles to less than $1 per mile by 2025 — a key to achieving profitable scale, he said. The current operating cost per mile in a city such as San Francisco is more than $3, Amman said, including paying the driver. “We see a pretty clear path on how we can do that,” he told the investors, citing GM’s plans for “Rideshare 2.0” with automated vehicles that eliminate the driver cost. Boosting GM’s confidence with launching the fleets are advancements in its self-driving technologies and reductions in expenses, including a next-generation lidar that will cost about $10,000 — roughly half of the $20,000 or so the automaker is paying now, according to Vogt. That cost will be reduced to about $300 in the future, according to GM. GM plans to expand its work force developing automated vehicles to about 2,100 by 2018, up from 1,200 today and fewer than 100 in 2016, according to Vogt’s presentation. GM must still persuade the investment community that it can back up its big talk. GM’s shares closed down 0.7 percent to $42.79 on Friday, Dec. 1. Glad I don’t own any shares in this company. Any company dependent on subsidies is an unsafe investment. Even if GM is the last man standing, because they’re Federal Motors, I think investors will be screwed when the nationalization officially happens. You know, this is actually kind of a neat concept for those who dwell in the urban hive. It’s a great fit for Clover, someone setting all the rules and enforcing them via programming. The only problem is they are going to think it works everywhere and will try to force real drivers off the road. Not one automaker bucking this stupidity trend. If there was, they would be the last one standing.